Due to my broken leg, Milwaukee Bagger will be manufacturing/shipping fiberglass products at a slower pace. 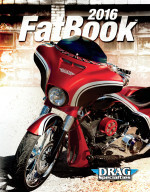 You may still order combo kits, saddlebags & fenders. One of four New Replacement rear fender with a Cat Eye Lighting System w/ Frenched in License Plate includes custom fender strut covers. Dual Exhaust. 2009-2013 Harley Baggers. Cat Eye Lighting System as included with this fender. Lighting Functions: 5 1/4" long brake light is pulsing to a solid light, Turn signals are 2" long in each corner. Designed to be used with your stock Backrest, Tour-Pack, and stock antenna. Designed to be used with your stock Backrest , Tour-Pack and stock antenna. Dual Exhaust Opening up to 5" wide pipe. is a composites processing method that offers a high potential for tailorability but is currently limited to low-viscosity (easily flowing) thermosetting polymers. In RTM, a textile preform—made by braiding, weaving, or knitting fibers together in a specified design—is placed into a mold, which is then closed and injected with a resin. After consolidation, the mold is opened and the part removed. Preforms can be made in a wide variety of architectures, and several can be joined together during the RTM process to form a multi-element preform offering reinforcement in specific areas and load directions. RTM construction makes this a very durable fender and allows for additional custom options. This is a full fender, replacement of the stock fender. Makes for a very simple install 2009-UP Harley Baggers. I have never seen an after market part fit as nice as this fender! IT LOOKS GREAT!!! My buddies think that I am a "professional builder". My wife and I installed the fender and bags in TWO HOURS!! and she is a true blonde!! Will send pictures in couple days. You be the judge. Thanks Nick for a great product. And my painter thanks you,the finish was flawless!